Several old houses have preserved the secrets of their origins, which will wait for some subsequent research to uncover. The Old Manor House is one of the oldest buildings in the parish, but its history is totally obscure. 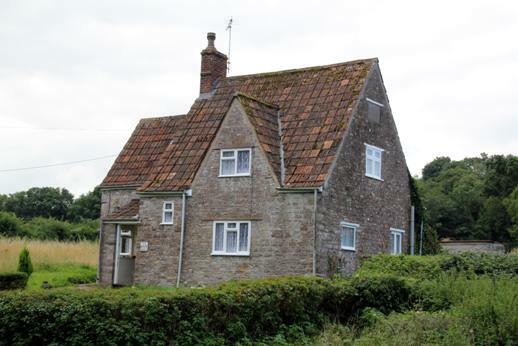 It is one of the very few houses in north Avon of the 'single unit' type, and Linda Hall writes 'They are usually well built, date from the late sixteenth and seventeenth centuries and were certainly not cottages'. Curiously, and perhaps significantly, another of the eight possible examples in north Avon is the original part of the building now known as The Swan Inn, although only a meticulous investigation by Mrs Hall of The Swan's layout and construction led to this proposition. The first reference to The Old Manor House seems to be in a document of 1726 `... messuage lying at the foot of Stowhill (being the place where the House or Messuage commonly called the Lord's House formerly stood)...' A hundred years later, the adjacent field was still called 'The Lord's Close', and today the house is known as The Old Manor House. The Old Manor House was still owned by the Lord of the Manor in 1839, but its purchase by Squire Hardwicke in 1904 suggests that at some point during the 19th century it was sold out of the Manor lands. In 1904 George Brown the tenant, who used to take Boyt Bros. pork products to Bristol in his cart, seems to have been displaced in favour of Alsey Curtis senior, the Squire's head groom and coachman. 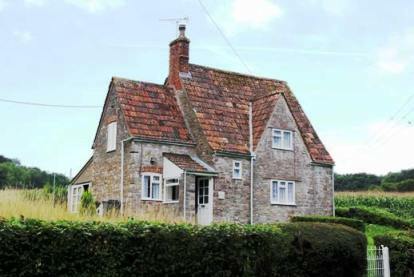 After Alsey moved to Rock Cottage in 1916, nearer his work, the Brown family was re-instated, Minnie Brown married Edmund Jobbins and their son still lives in the house. Below the photograph on the left taken from Conygre Field (roughly where Neathwood, New Road is today) shows the Old Manor House in the far distance.